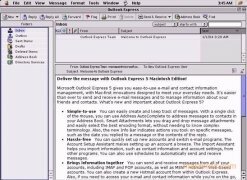 Outlook is one of the most versatile tools developed by Microsoft in what regards to email, contacts and event management, and due to this it's one of the most important applications of the Office suite. Now Mac users can enjoy a limited version of this tool on their computers, because Microsoft has made Outlook Express available for them, an email client with support for different accounts. The program allows you to organize your mail by folders, manage your contacts or write HTML mails. 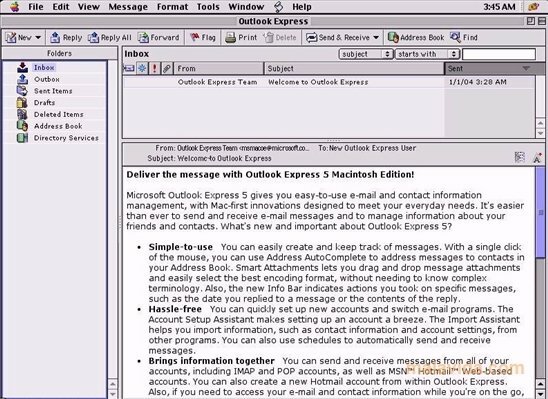 The interface integrates perfectly into OS 8 and OS 9, maintaining the appearance of the rest of applications for these operating systems. The program has access to the main functions at the top of the window and the email management folders on the left hand side. 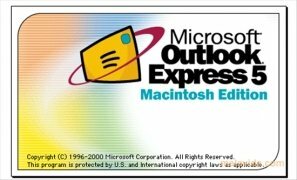 If you've already used Outlook Express for Windows and you also want to use it on your Mac, download it as soon as possible. Only works on Mac OS 8.1 or 9.x systems.